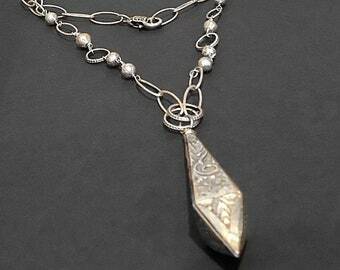 This raw crystal necklace will put you right on trend for the season. 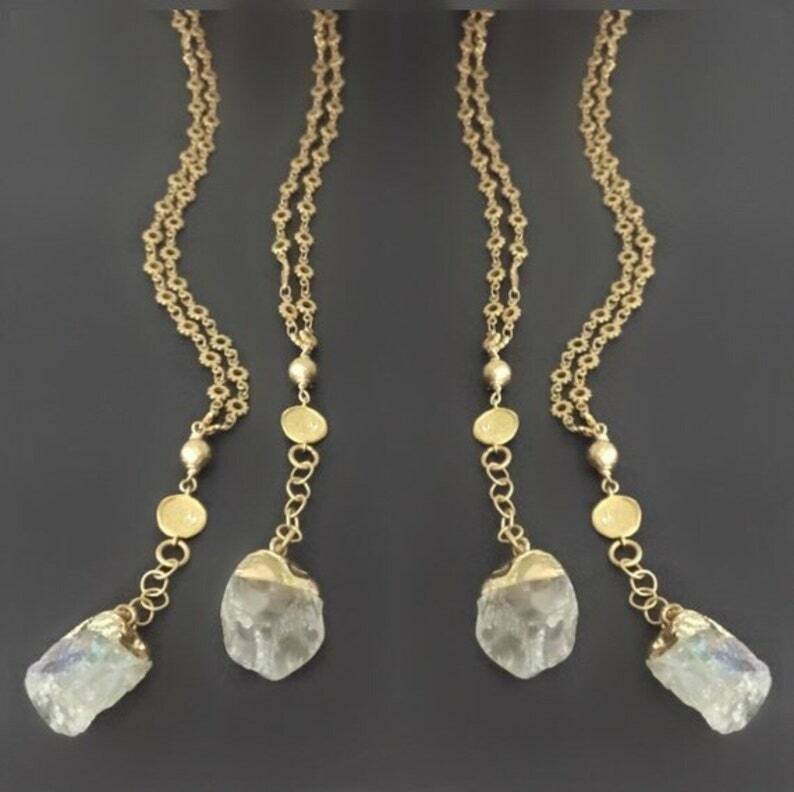 Long, lean and featuring a gorgeous combo of matte gold and crystal quartz, this necklace would look beautiful with a crisp white boyfriend shirt and jeans, or for work with black pants and a silky blouse. 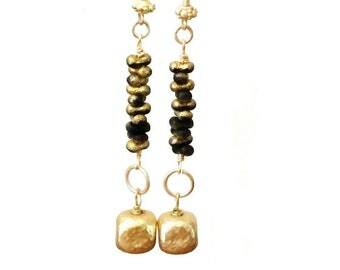 And it’s a fabulous gift for your mom or bff- neutral toned and easy to pair with just about anything! Comes beautifully boxed and ready to gift. - No clasp needed! Just slip this beauty over your head. 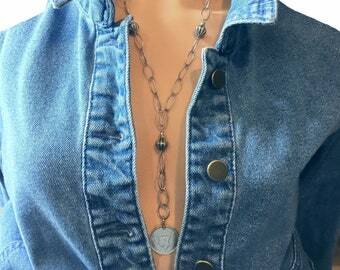 The chain is 30 inches around. The raw crystal quartz pendant, including the gold plated circle rings, will hang approximately 2 3/4 inches off the 30 inch chain. Beautiful and well made bracelet. Given as gift. I like it so much I may have to get one for myself! Thank you for your review. I did reach out to you yesterday via Etsy messages but have not yet heard back from you. Although this is my most popular bracelet, your satisfaction is what matters. Per my shop policies, I do offer a full refund if you would like to return the bracelet. Please contact me via Etsy messages if you would like to return. Payment by PayPal, credit card or money order is accepted. Your purchase will ship promptly upon receiving payment. I am committed to customer service and satisfaction. If for some reason you are unhappy with your puchase, please contact me within 3 days of delivery and mail your item back within 7 days of delivery. You will receive a full refund, minus shipping. Please note that custom pieces are not returnable unless they are found to be faulty. Production time is currently 1-4 business days. This means that your purchase will ship 1-4 business days after placing your order. We currently offer FREE domestic first class shipping. Insurance is available upon request for a small additional fee. You may upgrade to expedited U. S. shipping classes at checkout, and International mail classes are also available at checkout. Buyers are responsible for any VAT, customs and import taxes that may apply. You have invested in a special piece of jewelry and it deserves your care to ensure its pristine condition and longevity. 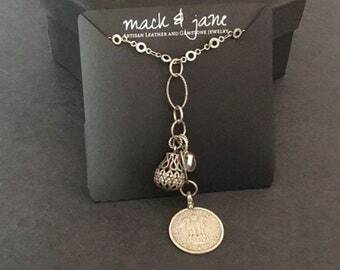 Please protect your Mack & Jane jewelry from contact with liquids that may cause the metals to tarnish, or may weaken the components over time (such as perfumes, hair sprays, moisturizers, etc). 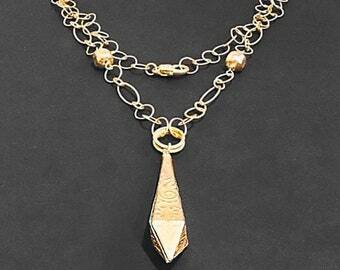 Please do not shower or bath while wearing your Mack & Jane jewelry. 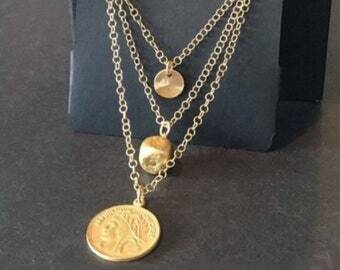 Please don't sleep or do vigorous exercise while wearing your Mack & Jane jewelry as this may cause breakage of gemstones, settings, stringing materials or other components of the piece.